Summer season means getting in shape and fitting perfectly into those newly purchased bikinis! I don't believe in extreme dieting and deprivation. Back when I was younger and struggling with my weight, skipping meals or substituting with crackers was the common practice. I'll tell you now, it doesn't work. The body gets starved and is forced to store rather than expel fat. I didn't lose any weight and I would often cheat momentously with junk food to make up for those fasting days. The moment I learned how to eat healthy, the pounds started shedding off effortlessly and before I knew it, I was at my desired weight. Thanks to Century Tuna, eating healthy is now more affordable and attainable with special recipes developed alongside nutritionist to the stars, Ms. Nadine Tengco for the Superbods Challenge. The Superbods Diet and Workout plan contain enough variety and flavor to last you a month without getting "umay". Serves 2 - great for warm, sunny afternoons. delicious and refreshing. 1. Cut avocado lengthwise and remove pit. Scoop out flesh and toss in a large bowl. 2. Add lemon juice, olive oil, salt and pepper. Mash until smooth. 3. 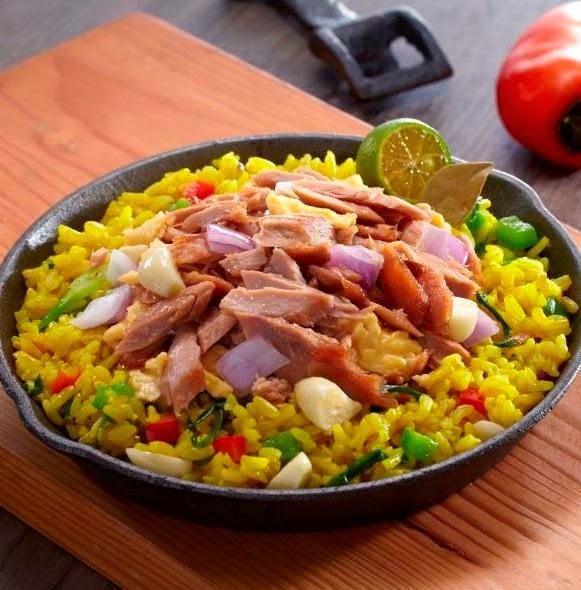 Stir in tuna flakes, parsley, green onions, and roasted red bell pepper. Mix well. 4. Divide into 2 portions. 5. 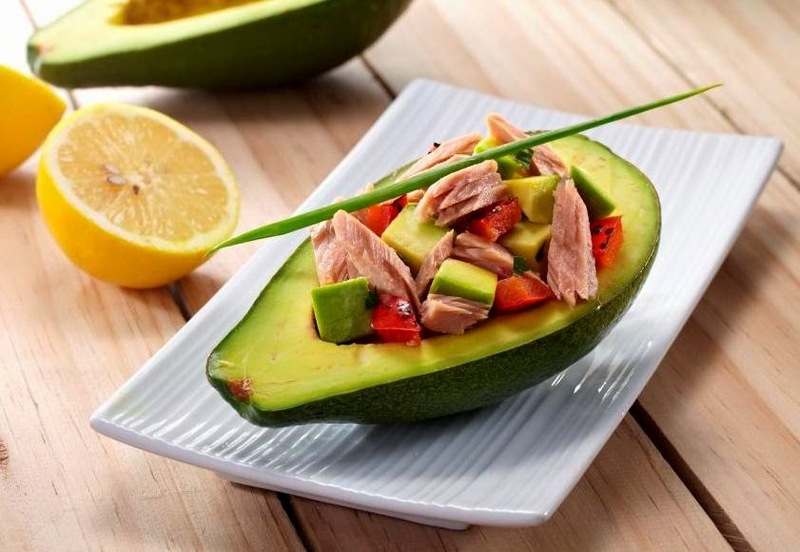 Scoop tuna mixture into avocado halves. Serve immediately. 1. Bring to a boil tuna, pineapple juice, bay leaf and whole black pepper. Simmer for 5 minutes. Drain and cool to room temperature. 2. Sauté’ garlic, onions, and ginger. Stir in the tuna. 3. Add vinegar and calamansi and cook for 2 minutes. 4. Break egg into tuna mix and stir until egg is completely cooked. 5. Leave to stand for a few minutes before serving to all flavours to infuse. Serve on top of “extended” rice. Looks yummy! Especially the avocado salad. Haven't tried this before so I'm interested in making this this weekend! Thanks for sharing!